The weather did not make it easy and conditions were soggy on Saturday and Sunday, but with playoffs starting and not time to lose, games had to be played. There were 2 junior B semi-finals decided at the weekend. Galway defeated the Connemara Gaels 3-12 to 1-10 on Saturday afternoon and on Sunday Donegal defeated Cork by 1-8 to 2-3. It sets up a junior B final with Galway meeting Donegal. 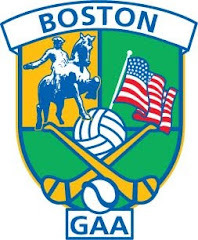 In junior C hurling Portland and Providence met in a playoff to decide who would meet New Hampshire Wolves in the semi-final next weekend, it was Providence by a point, 3-10 to 3-9, and Portland just missed a last minute equalizing opportunity. In senior football the big result was the Wolfe Tones defeating the Connemara Gaels in atrocious conditions by 6 points. There were goals galore as the Tones put 4 past Eoin Connolly, and the Gaels banged in a couple of late ones to make it a 4-12 to 3-9 score. With the Shannon Blues defeating the Gaels it sets up a mid-week playoff between the Gaels and Macs to see who will advance to the semi-final next weekend. The Blues defeated Galway by a 0-18 to 1-10 score and will play the Wolfe Tones next Sunday one semi-final. The Connacht Ladies delivered a heavy defeat to the Boston Shamrocks, 3-9 to 1-2 to see the final game of the series leaving the Shamrocks needing to win. A Connacht ladies win or a tie will result in the Cup going to the westerners, while the Shamrocks will be looking to force extra time with a win. In hurling Wexford beat Offaly and as a result the teams will meet in a playoff to see who goes to the junior final as the teams finished in joint 4th place. So, a lot of mid week and weekend action to look forward to!